Get developed exceptional Cocos2D/Cocos2DX games at ChicMic. We use the latest tools & libraries to build cross-platform applications for an interactive experience. Delivering interactive games with rich graphics is at the top of our mobile game development services. Our game developers have wholeheartedly developed many games using Cocos2D, Cocos2D-Objc, Cocos2D-x and Cocos2D-HTML5. Whether it’s for Android Smartphones, tablets, iPhone, iPad, Desktop or Web, game developers have years of experience in implementing technologies like Cocos IDE, Cocos Shop, 2D game & more. We work with the Cocos2D using Audio Library OpenAL & Open Graphics Library, Box2D and Chipmunk (Physics Engine), SpriteSheet editing, particle editing, font editing, Tilemap editing, SpriteBuilder and CocoStudio as Independent Editors. 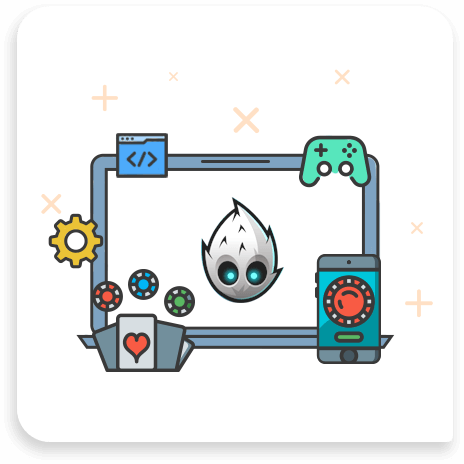 Utilising the potential of open source software framework & third-party libraries, we have been striving to create feature-rich cross-platform game applications.